At the beginning of the year everyone is talking about the trends for the new year. So I thought we would talk about some of the new trends and how we can combine them with classics. 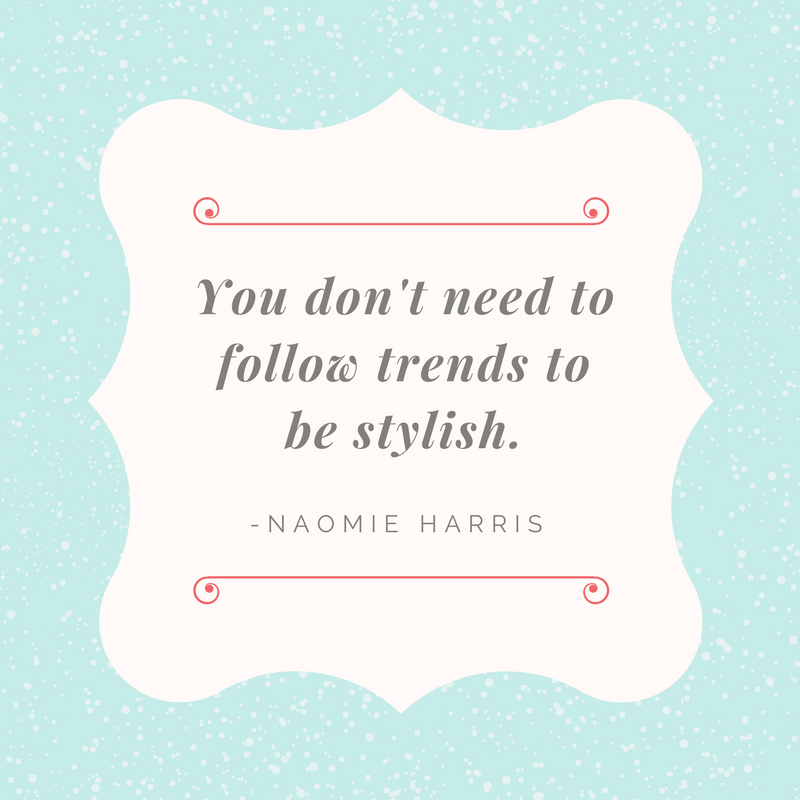 Trends are something that eventually go out of style. Why do they go out of style? One, because people get bored easily. Secondly, maybe it wasn't that great of an idea in the first place? Gasp! I know. How dare I say that!!! 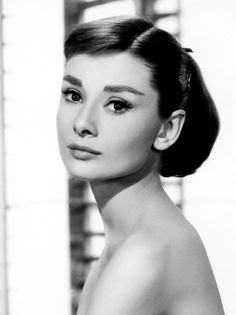 Classics are the thoughts and ideas that are the very best of the best. They never go out of style. They stand the test of time and are always considered in good taste! Now, I know what your thinking... well I like the trends and I don't want a old fashion home. I want something hip and trendy or at least up to date! So what am I saying? Am I saying don't follow the trends? Well, yes and no. My advice is keep it 80% classics and 20% trends. More or less. You want trendy items to be the jewelry to your outfit. Fashion is very much like home design. You want to have that classic little black dress and add the trendy shoes or trendy earrings to make it modern and bring it into the 21st century! Classic black dress with a touch of modern accessories. Accessories are the way to go with trends. Velvet Pillows are a great way to work the velvet trend into your home without breaking the bank! Just a touch of vibrant blue and modern art keep this room from looking too old fashion. The traditional architectural features along with clean lines keep it fresh. Pantone has declared violet the color of the year! Paint is a relativity cheap way to embrace a trend. Their is nothing old fashioned about this room. If your looking for wow factor this is it. Notice the architecture is very traditional but the violet paint changes everything! Velvet is everywhere from sofas to clothing this year. This is a trend I can get behind. I happen to love velvet. 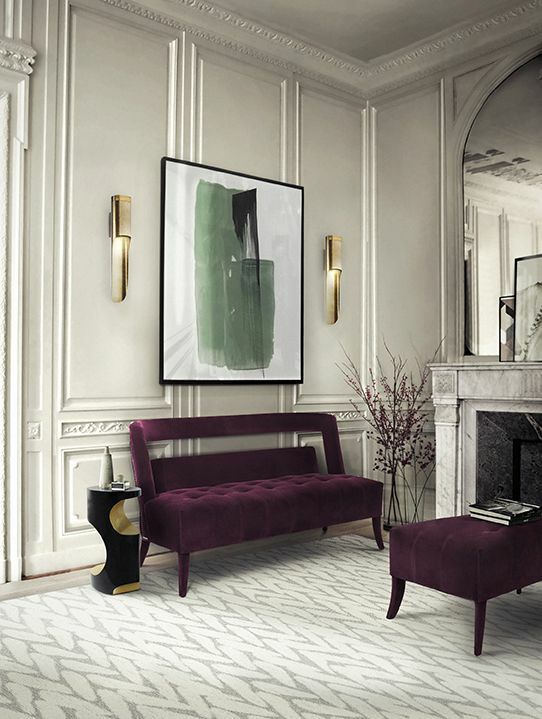 This velvet settee and bench juxtaposed with the classic mill work really create this modern aesthetic. 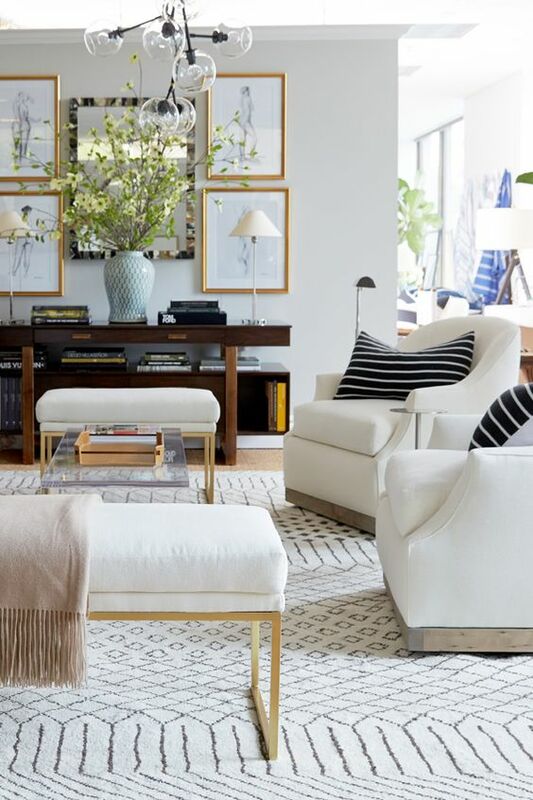 A beautiful blend of classics with contemporary trends. This is more of my style. 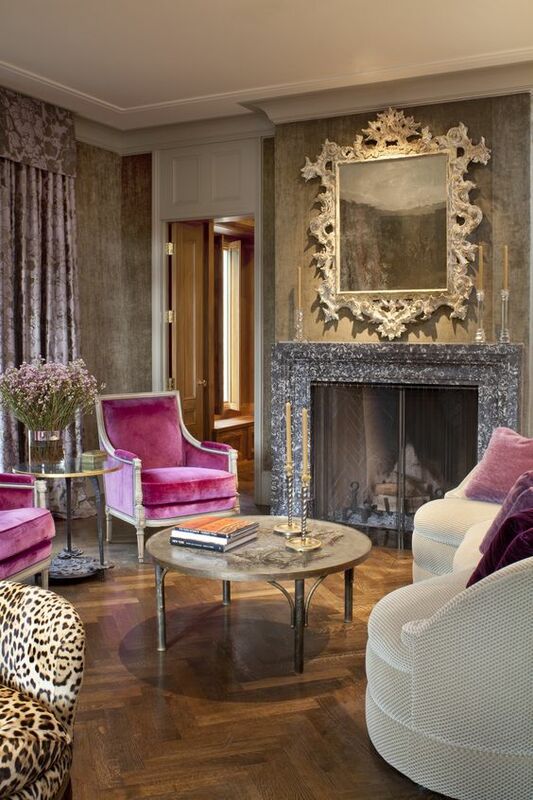 French, velvet, hot pink and animal print...this has my name written all over it! but the rug, curtains and ceiling keep it from being anything but old fashioned. I love this ceiling! So I hope this gives you some ideas! 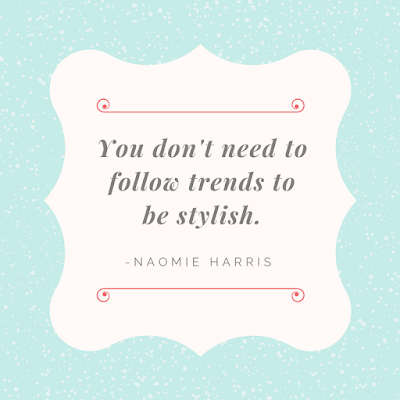 There are many trends that I love. But I love them more when they are mixed with classics! I love to start off my post with a picture to grab your attention! Did it work??? I hope so! This beautiful place setting is by Hester and Cook. If you don't know about Hester and Cook you are definitively are missing out. They specialize in artistic paper table settings. Find out more HERE. They are so cute I just can't resist!!! 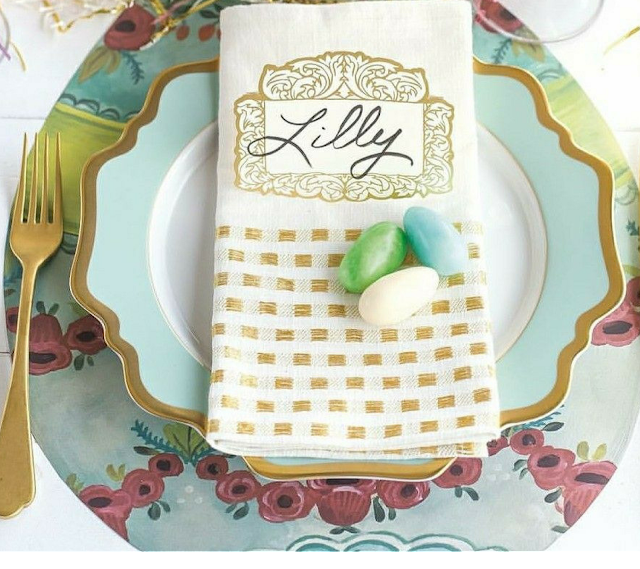 And even though this is more of tutorial on how to fold cute napkins, imagine the adorable table setting you could make with these napkins! You can use either paper or cloth napkins. Check this Article out on how to fold a bunny napkin HERE. 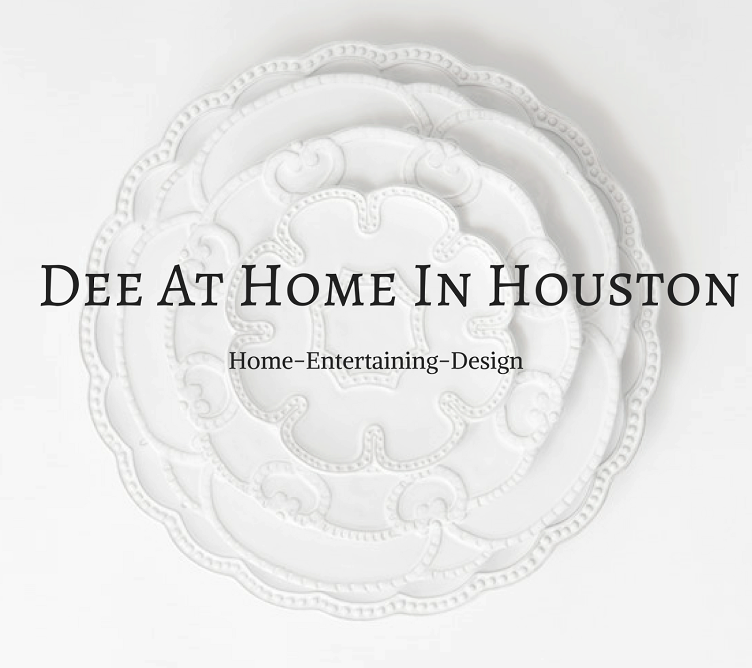 You must check out the post on Driven By Decor by Kris. I just love her style! 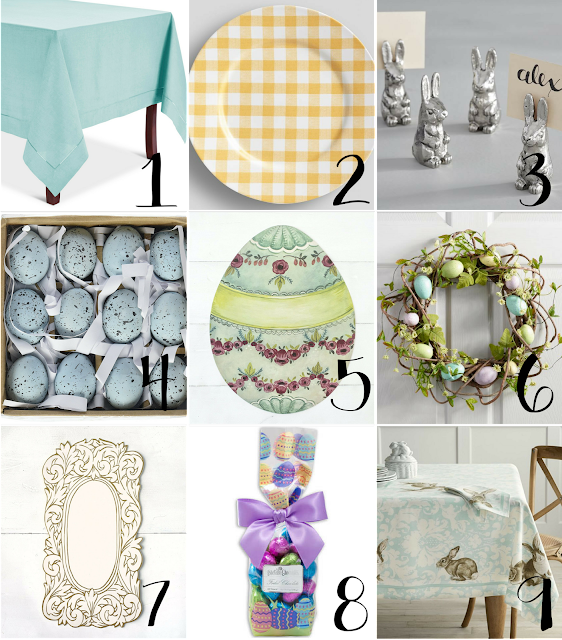 And she has a Easter tablescape that I absolutely adore! 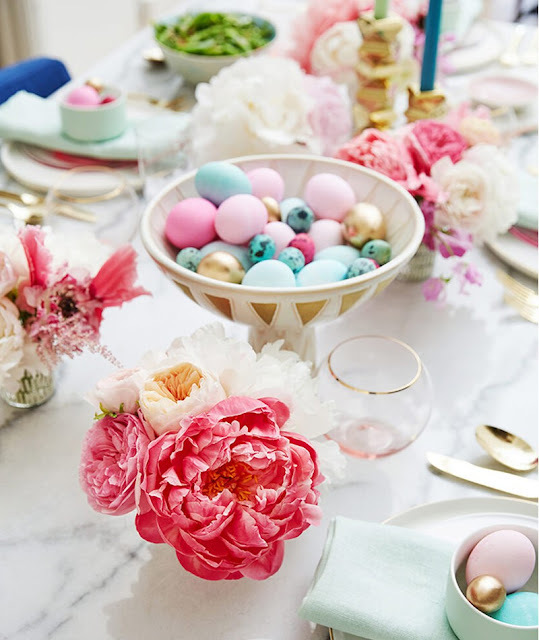 Kris from Driven By Decor is so talented and has wonderful ideas. I highly recommend her blog. 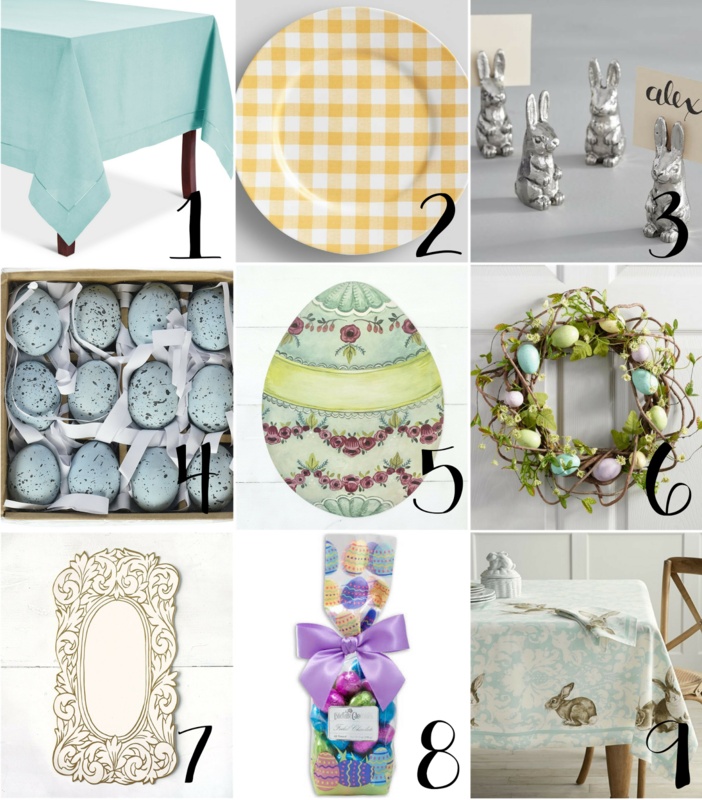 I don't know about you but gingham checks just say Easter to me! 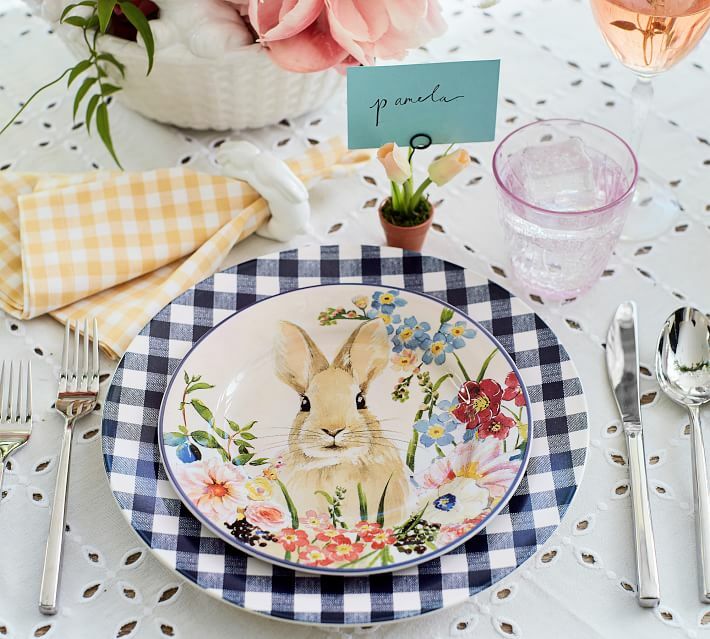 And these bunny plates are adorable! How adorable are these vegetable chargers from Pier One!!! You can find them HERE. 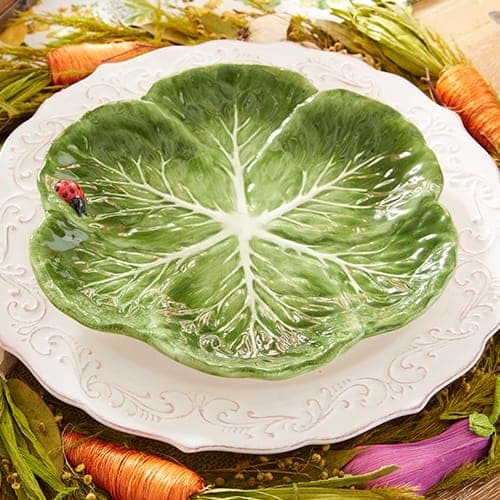 I happen to collect cabbage plates so I could easily do this at home! Here is a tip, if you are into cabbage plates Tuesday morning has a stash right now!